While the BJP government's inability to push through the triple talaq bill has caused a sense of discomfort for the ruling party in New Delhi, the more significant sub-text is to do with the developments in the Deccan. The Telugu Desam, an NDA ally, that has two ministers in the Narendra Modi government, broke ranks to make its position against the Bill very clear. In the bargain, the TDP found itself on the side of the Congress, its traditional political foe in Andhra Pradesh. Joining the TDP in pushing for the Bill to be sent to a select committee was the AIADMK. The party from Tamil Nadu, though not part of the NDA, has been close to the BJP since Jayalalithaa's demise. 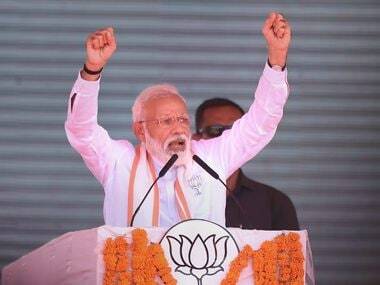 This tactical shift in position is not an innocent one, though leaders in both Andhra Pradesh and Tamil Nadu, are trying hard to project it as issue-based opposition. 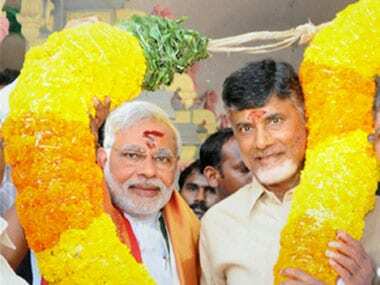 The TDP and BJP are partners in power - both in New Delhi and Amaravati. But the feeling within the TDP is that Naidu has not got preferential treatment he deserves within the dispensation. This is a bitter pill for the TDP to swallow given that it has been used to the red carpet being rolled out for Naidu during the NDA years under Atal Bihari Vajpayee. After the bifurcation of Andhra Pradesh, Naidu inherited an empty treasury, without any state capital and necessary infrastructure. It was obvious that he would depend on the NDA government fulfilling its promises to the bifurcated state of Andhra. Naidu expected that being an NDA partner, the gravy train would roll out almost immediately. "Politically, our relations with the BJP are fine but that has not quite translated to help for our state,'' a leader close to the power centre told this writer. The reference is to the fact that the TDP government has to struggle to get what it thinks is due to it, be it funds for the prestigious Polavaram irrigation project or for its capital city. Naidu was embarrassed when the NDA government did not grant special category status to Andhra Pradesh. The status was promised both by former prime minister Manmohan Singh in Parliament and also by Narendra Modi during the election campaign. 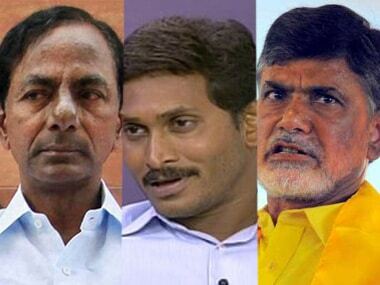 A section of the TDP feels the BJP will be an electoral liability especially given that both Jaganmohan Reddy and Pawan Kalyan have been vociferous in their attack on Naidu for his inability to get special category status, despite sharing power in New Delhi. These TDP leaders feel snapping ties with the BJP and making it the villain of the Andhra sob story could fetch rich political dividends in 2019. But it won't be an easy call for Naidu to take as walking out of NDA will mean bidding goodbye to whatever little clout he still has in the national capital. Which is why it would be erroneous to see the TDP's position on the triple talaq bill in isolation. It is a punch delivered inside a velvet glove, a way of saying that the TDP is capable to taking a line contrary to what its partner decides. It will be interesting to watch how the BJP in Andhra reacts to this development and whether its leaders attack the TDP in the same language that they reserve for those from the Congress. The AIADMK was far more virulent in the manner in which it took on the BJP over the Bill. Its Lok Sabha MP Anwhar Raajhaa in his speech alleged that the BJP was pursuing a "communal agenda'' through this legislation. Sounding more like Asaduddin Owaisi, the MP from Ramanathapuram also accused the BJP of bringing the Bill to "abolish the identity of Muslims in India''. Ever since the RK Nagar verdict in which the AIADMK came a poor second and the BJP lost its deposit, polling lesser votes than NOTA, relations between the two parties have taken a nosedive. 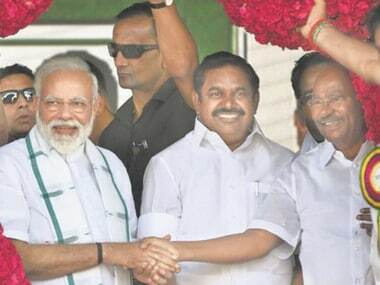 Dhinakaran had campaigned saying a vote for the AIADMK means a vote for the BJP. The AIADMK believes this impression cost it the minority vote in the constituency. Also RSS ideologue S Gurumurthy calling both chief minister Edappadi Palaniswami and deputy CM O Panneerselvam "impotent'' in a tweet in December, did not go down well with the party. The fact that BJP leaders in the state were the first to welcome Rajinikanth's entry into politics did not go unnoticed either. The reading is that the BJP is in the process of dumping the AIADMK and back the superstar instead. But having bitten more than it could chew, the AIADMK climbed down, clarifying that the party's opposition was restricted only to the Bill and should not be interpreted otherwise. Political analyst S Shankar says the AIADMK is not in a position to take on the BJP and wonders if Anwhar Raajhaa was authorised by the party leadership to speak in the manner he did. "The DMK and TTV Dhinakaran had taken a position against the Bill. 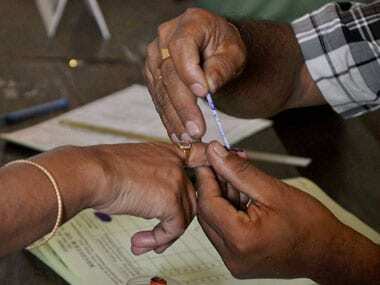 Therefore, to vote for the Bill would have made the AIADMK look anti-minority in Tamil Nadu,'' says Shankar. If the AIADMK and the TDP had gone with the government in the Rajya Sabha, Arun Jaitley would have fancied his chances of winning the vote in the event of a division. But the posturing over the triple talaq bill is a subtle warning that the two friends from the south could be mulling a talaq from the BJP in the near future.